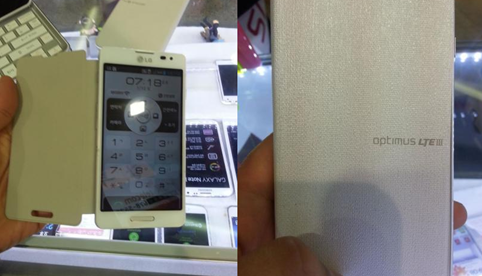 (GSM Insider) - Alleged LG Optimus LTE III Leaks, It Has A Physical Home Button. Recently, LG introduced the LG Optimus G Pro and the LG Optimus G is already rolling out to the global market. These two devices are the important tools for the Korean company to fight for the world's third largest smartphone maker position. According to the leaked image above, it is said to be the LG Optimus LTE III which is the third device of the LG Optimus LTE Series. Sources reported that the LG Optimus LTE III will have the model number of LG-F260S. The possible specs of LG Optimus LTE III include Snapdragon S4 MSM8960 dual-core processor, 720p HD display and 1GB of RAM. The LG Optimus LTE III is expected to run on Android 4.1.2 Jelly Bean. From the leaked image, the alleged LG Optimus LTE III shows us that it has a physical home button. If you don't look at the LG logo, it really looks like the Samsung Galaxy Note. Do you agree? (GSM Insider) - Rumor: BlackBerry Set To Quit Korean Market In First Half Of 2013. According to sources from Korea, BlackBerry set to quit the Korean market soon. A few weeks ago, BlackBerry announced its plan and will not release the BlackBerry 10 in the Japanese market "at the moment". What's wrong with BlackBerry in South Korea? The sales of BlackBerry in the Korean market were not impressive as Samsung, Apple and LG are dominating the Korean market. Seriously, the sales of BlackBerry were not good in any part of the world. BlackBerry released a statement that it continues to work with SK Telecom for the Korean market. The BlackBerry still provides the support to the current BlackBerry devices in the Korean market. 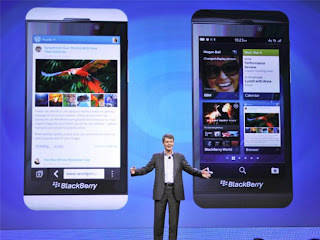 But no news on the BlackBerry 10. 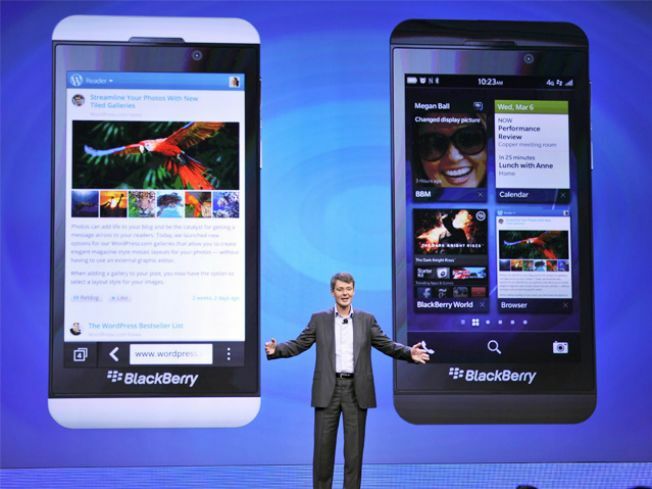 Folks at Korea, are you waiting for the BlackBerry Z10 and BlackBerry Q10? Comment at below. 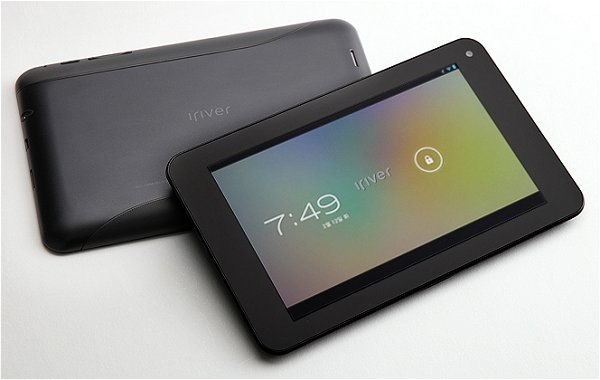 (GSM Insider) - iRiver ITQ700 Officially Unveils, 7-inch Android Slate With Quad-Core And Jelly Bean. Another new member of the 7-inch club - the iRiver ITQ700. iRiver is a Korean based company that produce tablet, e-book reader and MP3 player. iRiver ITQ700 is a rather mid-range tablet although it features the Tegra 3 quad-core processor. The specs of iRiver ITQ700 include 7-inch display with 1280 x 800 WXGA resolution, 1.2GHz NVIDIA Tegra 3 quad-core processor, 1GB of RAM, 16GB of ROM and 2-megapixels front camera. iRiver ITQ700 runs on Android 4.1 Jelly Bean. Other specs of iRiver ITQ700 are a MicroSD slot, WiFi, Bluetooth, GPS, accelerometer, speaker and a 4000mAh battery. The measurement of iRiver ITQ700 is 192 x 122 x 10.6mm while the weight is 338g. At the moment, no release date and the pricing of iRiver ITQ700 yet. Probably will launch in Korea first before heading to other regions. We shall update you soon. (GSM Insider) - Samsung Galaxy Note 10.1 LTE Garnet Red Officially Launches In South Korea, Heading To More Countries Soon. Tomorrow is the valentine's day. What present to buy for your partner? GSM Insider suggests you to purchase the Samsung Galaxy Note 10.1 LTE Garnet Red if you located in South Korea. The dark red version of the Samsung Galaxy Note 10.1 LTE finally launches in the Korean market. This product is aimed for the Valentine's Day on tomorrow. 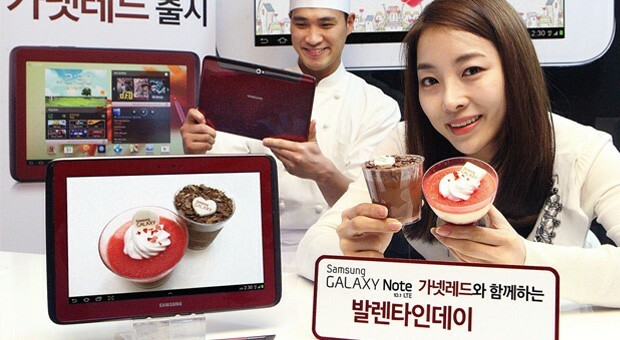 Those couples that interested in the Garnet Red Samsung Galaxy Note 10.1 LTE can get it at major retail stores across the South Korea. Since it was launched a few days before the Valentine's Day, it won't available in time for the lovers in other regions. The good news is Samsung plans to launch this Garnet Red tablet in more countries soon after that. Please follow GSM Insider for more news on the Samsung Galaxy Note 10.1 LTE. (GSM Insider) - LG Optimus G Pro Officially Unveiled, Its The Familiar Face That We Saw Before. 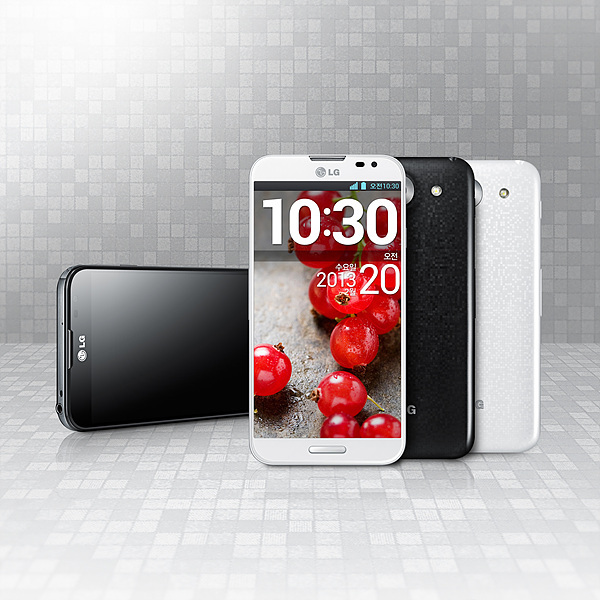 LG Optimus G Pro is no longer a stranger in the gadget world. Previously, LG Optimus G Pro was launched in the Japanese market with the 5-inch display. But the international variant will feature a larger display instead of the 5-inch display. The 5.5-inch LG Optimus G Pro was leaked a week before in Korea. It is different from the Japanese version of 5-inch LG Optimus G Pro. The Korean version of LG Optimus G Pro comes with the model number of LG-F240 while the Japanese version comes with the model number of L-04E. Another difference between the Japanese version and the Korean version is the Japanese version features a smaller 5-inch display while the Korean version features a 5.5-inch display. The 5.5-inch LG Optimus G Pro was officially unveiled at the LG website earlier ahead of the Mobile World Congress 2013. Since it was posted by the official website, then the design of the LG Optimus G Pro should be confirmed. From the image above, you might feel that the LG Optimus G Pro is familiar to you. LG Optimus G Pro features an ultra thin bezel but the design is similar to the Samsung Galaxy S3. LG Optimus G Pro set for launch before the Samsung Galaxy S4, GSM Insider reported. So you might get this powerful monster soon. (GSM Insider) - Battery Of Samsung Smartphone On Fire And Causes Second-degree Burns. The news below isn't about the device on fire. It was the battery that on fire. According to news from Korea, a man suffered burns after the battery that belongs to Samsung smartphone caught fire in his trouser pocket. Officials from Korea said that the lithium-ion battery wasn't in the phone when it caught fire. The lithium-ion battery always has overheating issue in the past. The victim suffered second-degree burns and left a one inch wound on his thigh. The Korean newspaper reported that the battery belongs to the original Samsung Galaxy Note. But the Korean officials couldn't confirm that. At the moment, Samsung is yet to respond to this accident. At least we knew that the lithium-ion battery that in our smartphone is prone to overheating. Be careful everyone. (GSM Insider) - Another Variant Of LG Optimus G Pro F240L With 5.5-inch Display Leaks. Earlier last month, LG Optimus G Pro L-04E was announced in Japan by NTT DoCoMo. It was the first ever 5-inch Full HD device from the Korean company. But seems like it has another sibling as well. 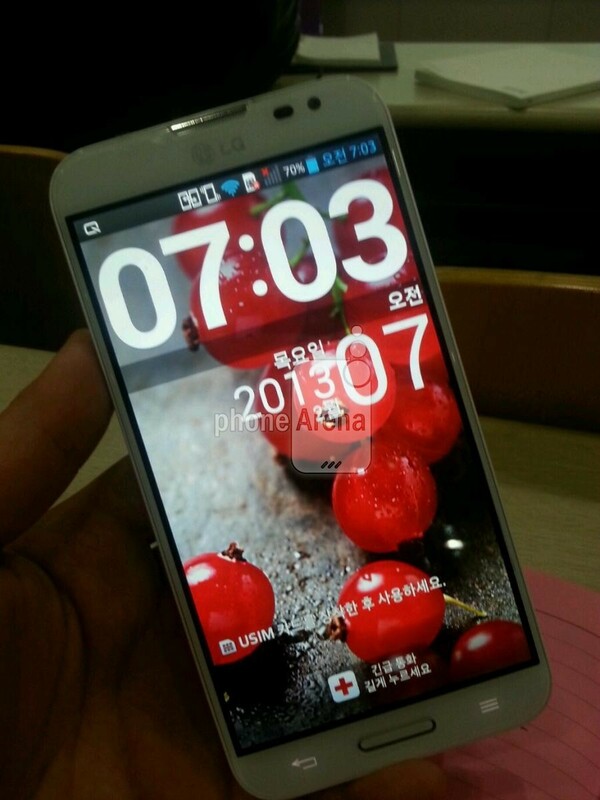 Another LG Optimus G Pro was leaked in South Korea with different display size and slightly different design. The model number is different too! This Korean LG Optimus G Pro features a 5.5-inch display which is 0.5-inch larger than the LG Optimus G Pro L-04E in Japan. Furthermore, this LG Optimus G Pro has an ultra thin bezel compare to the LG Optimus G Pro L-04E. The model number of this Korean LG Optimus G Pro is F240L which is heading to the LG U+ network soon. As you can see from the leaked image above that the device is in Korean language. The Korean LG Optimus G Pro F240L is said to be powered by a 1.7GHz Snapdragon 600 quad-core processor. The Snapdragon 600 processor is faster than the Snapdragon S4 Pro in Japanese LG Optimus G Pro L-04E. Other than the processor, Korean LG Optimus G Pro F240L has 2GB of RAM as well as 32GB of ROM. Korean LG Optimus G Pro F240L packs with 13-megapixels main camera and 2.1-megapixels front camera. Other specs include WiFi, Bluetooth, NFC, 4G LTE-enabled, a MicroSD slot and a 3140mAh battery. Korean LG Optimus G Pro F240L is running on Android 4.1 Jelly Bean. The Korean LG Optimus G Pro F240L could be heading to international market soon. But will it launch at the upcoming Mobile World Congress 2013? (GSM Insider) - LG Optimus G Pro LG-F240 For Korean Market Set For Launch On February 20. LG Optimus G Pro was announced by Japanese carrier NTT DoCoMo earlier last month. It is the first 1080p Full HD device from LG. The 5.5-inch device set will be available at the Japanese on April later. According to the news from Korea, the LG Optimus G Pro is launching at its home country, South Korea soon. The launch for LG Optimus G Pro in South Korea is said to be February 20, 2013. The model number of LG Optimus G Pro in South Korea is LG-F240 while the model number in Japan is L-04E. But the specs are almost similar between both variants. LG Optimus G Pro LG-F240 features 5.5-inch 1080p Full HD display, 1.7GHz Snapdragon S4 Pro APQ8064 quad-core, 2GB of RAM, 32GB of internal memory, a MicroSD slot, 13-megapixels for the rear-facing camera, 2.1-megapixels for the front-facing camera, Android 4.1 Jelly Bean, Bluetooth, WiFi, 4G LTE-enabled, NFC and a 3140mAh battery. 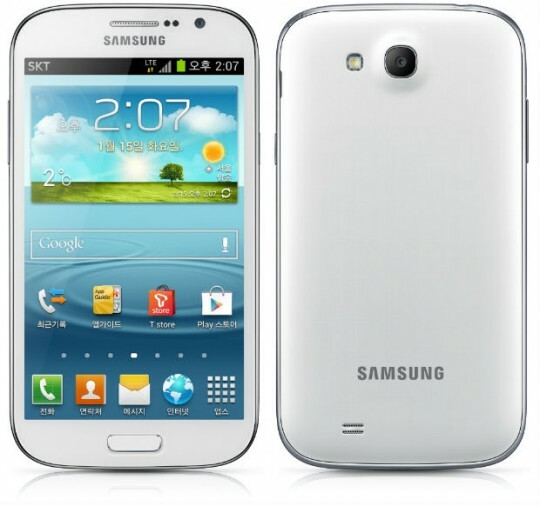 (GSM Insider) - Samsung Galaxy Pop Announces In South Korea, Another Device With The Look Of Galaxy S3. Opps! Another device that is having the almost same design like the Samsung Galaxy S3, it is the Samsung Galaxy Pop. This device was announced in South Korea. Samsung Galaxy Pop comes with the model number of SHV-E220S. From the model, it can know that the device is for Korean market ONLY and not for the global market. Samsung Galaxy Pop SHV-E220S is similar like the Samsung Galaxy Premier in Europe and Asia. Samsung Galaxy Pop SHV-E220S is powered by a quad-core processor and 1GB of RAM. It has a 4.65-inch of Super AMOLED display. It is packed with 8-megapixel rear-facing camera and 2-megapixel front-facing camera. Other specs of Samsung Galaxy Pop SHV-E220S include WiFi, Bluetooth, GPS, LTE-enabled, Android 4.1 Jelly Bean and a 2100mAh battery. Samsung Galaxy Pop SHV-E220S comes together with a flip cover (image above) when you purchased it in Korea. (GSM Insider) - Pantech Vega No.6 Officially Announces In South Korea, Largest Full HD Device To-Date. Korean manufacturer Pantech announces its own Full HD device as well. It is the Pantech Vega No.6 that features 5.9-inch display. This is the largest Full HD device to-date. The largest device may be the Huawei Ascend Mate that features 6.1-inch display. But the display of Huawei Ascend Mate only 720p HD and it isn't 1080p Full HD. 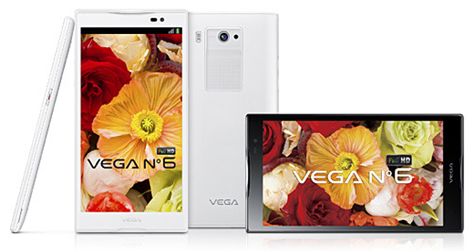 With the announcement of Pantech Vega No.6, it is officially the largest full HD device to-date. Pantech Vega No.6 features a 5.9-inch Full HD display, 1.5GHz Snapdragon S4 Pro APQ8064 quad-core processor, 2GB of RAM, 32GB of ROM, Android 4.1 Jelly Bean and 13-megapixel of rear-facing camera. Other features of Pantech Vega No.6 include WiFi, Bluetooth, NFC and 3140mAh battery. The measurement of Pantech Vega No.6 is 158.6×83.2×9.9mm 209 and the weight is 210.5g. Pantech Vega No.6 is available in black and white two colors. (GSM Insider) - LG Optimus LTE Records 1 Million Units Sales To-Date. LG Mobile announced that its LG Optimus LTE (Long Term Evolution) handset sold more than 1 million units to-date. It is not sure whether the sales record covered worldwide sales or just sales in South Korea. LG Optimus LTE available in the US, Japan, South Korea and Canada. The LG Optimus LTE in the US known as the LG Nitro HD for AT&T. 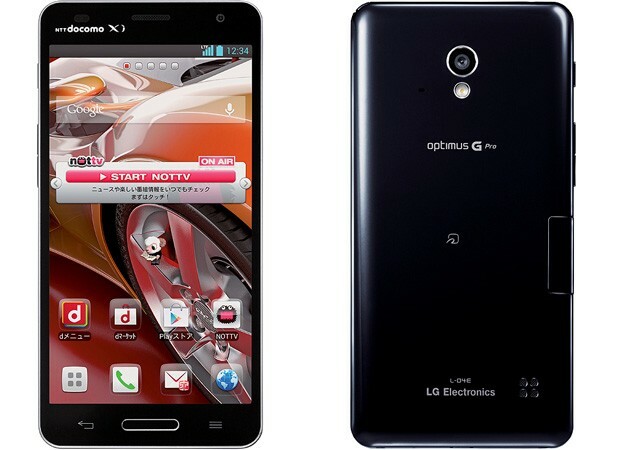 LG Optimus LTE was launched back in October 211 as it achieved 600,000 units sales in first three months, in South Korea. LG remains focused on the global LTE market. The latest LTE device that is launching in the global market is LG Optimus G as it is coming soon to more than 50 countries soon. 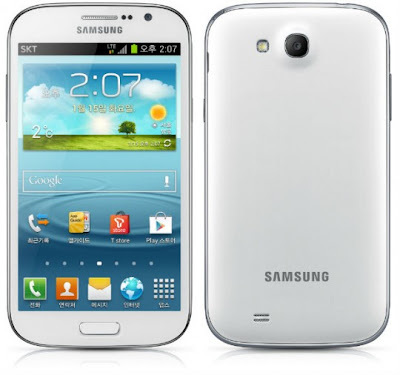 (GSM Insider) - Samsung Galaxy Grand With LTE Launched In South Korea, It's The Third Variant. Samsung Galaxy Grand was launched at last year as a mid-range device. There are two models that launched in last year, Samsung Galaxy Grand and Samsung Galaxy Grand Duos. One with single SIM and another one with dual-SIM feature. The latest Samsung Galaxy Grand launched in South Korea is the one that supported LTE. But this Samsung Galaxy Grand with LTE is different from the Samsung Galaxy Grand global version. Firstly, Samsung Galaxy Grand with LTE is powered by a 1.4GHz quad-core processor (probably Exynos 4412) while the Samsung Galaxy Grand global version powered by a dual-core processor. Samsung Galaxy Grand with LTE has a 5-inch display with 800 x 480 resolution which is similar to the global version. It runs on Android 4.1 Jelly Bean. Other features include 8-megapixel rear-facing camera, 2-megapixel front-facing camera, NFC, Bluetooth, WiFi and a MicroSD slot. This Samsung Galaxy Grand With LTE is heading to SK Telekom soon. 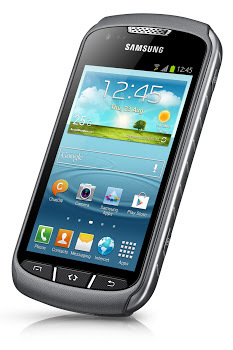 (GSM Insider) - Samsung Galaxy Xcover 2 Officially Announces, Tough Smartphone With Waterproof. Samsung Galaxy Xcover 2 is the latest smartphone that announced by the Korean manufacturer. Samsung Galaxy Xcover 2 was leaked a few days ago, GSM Insider reported. Samsung Galaxy Xcover 2 is a durable smartphone with waterproof feature. You can bring this Samsung Galaxy Xcover 2 under the water for usage. But there is a certain limit for the waterproof feature. This display size of Samsung Galaxy Xcover 2 is a 4-inch WVGA display. It's powered by 1GHz dual-core processor and 1GB of RAM. This is suitable for daily usage and for outdoor activities. Other features include 4GB of ROM, a MicroSD slot, 5-megapixel rear-facing camera, VGA front-facing camera, Bluetooth 4.0, Android 4.1 Jelly Bean, GPS with GLONASS and 1700mAh battery. However, Samsung did not announce the pricing of Samsung Galaxy Xcover 2. Since this device was announced in South Korea, so it should launch at there before heading to global market soon. (GSM Insider) - Samsung ATIV Smart PC Launches In South Korea, Perfect Tablet For Female. There are many Windows 8 tablets in the market. But most of them are in black or silver colour. Thats the most common colours for tablets. Earlier today, Korean media reported that Samsung launches the tablet that suitable for female users. It is the Samsung ATIV Smart PC in white colour. The only different is the white colour as the specs of Samsung ATIV Smart PC remained the same. It has 11.6-inch display, 1.8GHz Intel Clover Trail processor, 64GB of ROM and 4800mAh battery. It is a Windows 8 tablet with external keyboard dock. At the moment, this white Samsung ATIV Smart PC only selling at South Korea. (GSM Insider) - Pantech Set To Launch Its 5.9-inch 1080p Phablet In Coming Two Weeks. Although Pantech has a few devices that selling outside Korea, but it remains popular in Korea and not popular outside Korea. Dont blame your friends if they never heard of Pantech. According to source from Korea, Pantech has the plan for 1080p Full HD device as well. 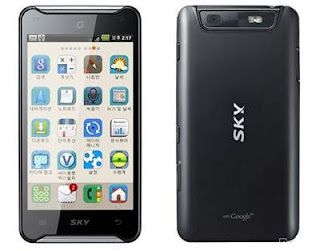 The Korean manufacturer set to launch its 5.9-inch 1080p Full HD phablet on January 28, 2013. The model number of the device is IM-A860. Besides the 5.9-inch display, Pantech IM-A860 is said to feature a Snapdragon S4 Pro quad-core processor, Android 4.1 Jelly Bean, 2GB of RAM and 13MP camera. If the source is true, we shall welcome another 1080p device to the gadget world. It remains unknown whether Pantech will launch it in global market. GSM Insider is always the place for gadget news from the insider. After adding more colours to Samsung Galaxy S3, Samsung never forget about the LTE-enabled Galaxy S3. Samsung just launched another two more colours for the LTE-enabled Galaxy S3. Earlier today, Samsung officially launches the Samsung Galaxy S3 LTE Garnet Red and Samsung Galaxy S3 LTE Sapphire Black at its home country, South Korea. South Korea is the first market to get the Garnet Red and Sapphire Black of Samsung Galaxy S3 LTE. GSM Insider expects these two colours coming to global market soon. Its brothers, Samsung Galaxy S3 already available in Garnet Red, Sapphire Black, Amber Brown and Titanium Grey for quite sometimes in the market. These four colours were launched globally on last year. The inner specs of Samsung Galaxy S3 and Samsung Galaxy S3 LTE are similar overall. The main different is one with LTE supports and another one dont have. Samsung Galaxy S3 was ranked at no.4 position at GSM Insider's Top 10 Best Smartphones of the year 2012. Check out the full listing here. Samsung has a habit by introducing more colours to its devices sometime after they was launched in the market. 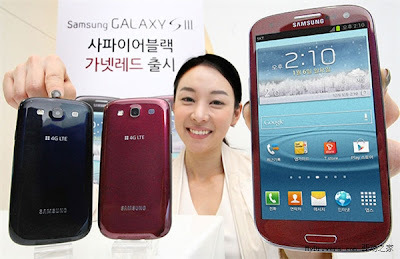 In the past, Samsung Galaxy Note and Samsung Galaxy S3 were available in many colours according to regions. The latest device could follow the footsteps is the Samsung Galaxy Note 2. 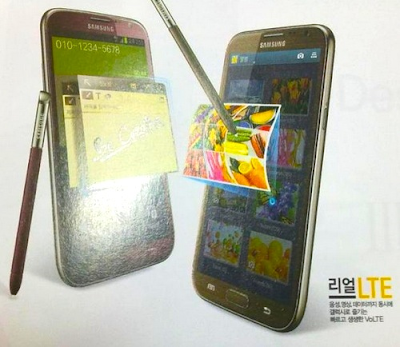 Samsung Galaxy Note 2 in two different colours were spotted in Korean magazine after all. The Korean magazine showed the Samsung Galaxy Note 2 in red and brown. These two colours are similar like the Garnet Red and Amber Brown of Samsung Galaxy S3. According to the magazine ads, those two colours might feature on Samsung Galaxy Note 2 LTE in home country, Korea. There is no guarantee on whether these two colours are going to launch worldwide. Previously, the pink Samsung Galaxy Note only available in home country. 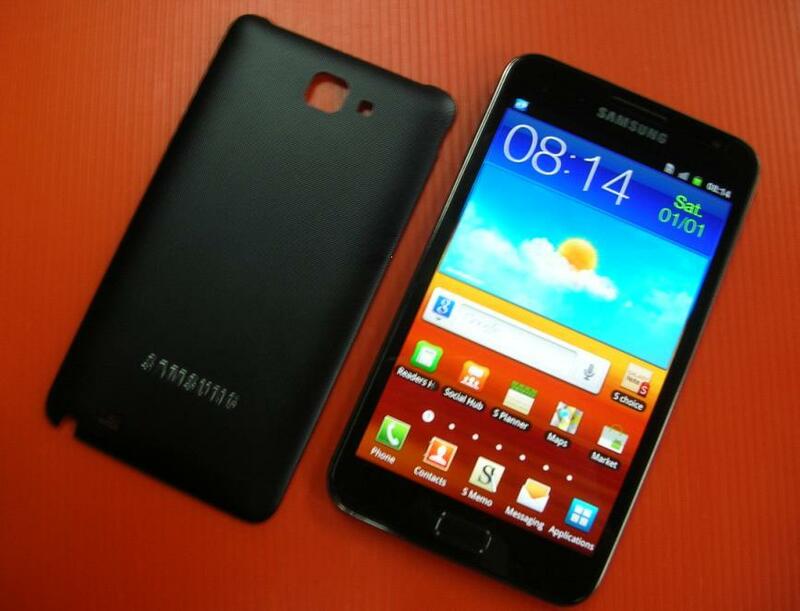 Recently, Samsung Galaxy Note 2 appeared in black colour but it turned out as a photoshop edited image. Samsung Galaxy Note 2 is the latest phablet with 5.5-inch 720p HD display, 1.7GHz Exynos 4412 quad-core, 2GB of RAM, Android 4.1 Jelly Bean and 8-megapixels of camera. Samsung Galaxy Note 2 was ranked no.5 at GSM Insider's Top 10 Best Smartphones in the year 2012. Check out all 10 short-listed devices at here. You might never heard of this LG Optimus VU as it is not really popular among the gadget fans around the world. This LG Optimus VU is a phablet that mostly selling in South Korea and some selective market. Dont feel surprise if this device is not available in your country. Earlier yesterday, Samsung announced that the sales of Galaxy Note 2 successfully hit 1 million in home country. This is impressive record for the Samsung brand phablet. However, LG not letting down with the battle with Samsung as it was announced that the LG Optimus VU sold 1 million units in South Korea too. At the moment, LG has two phablets in South Korean market are LG Optimus VU and LG Optimus VU 2. Samsung has two phablets as well include Samsung Galaxy Note and Samsung Galaxy Note 2. 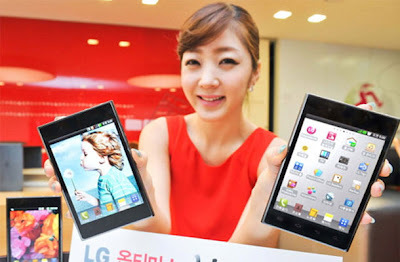 Although LG released the numbers on LG Optimus VU but it is unsure whether the 1 million sales referred to which model. The phablets getting popular among Korean. You might feel that the phablet is too huge for you pocket but this is definitely not the case of Korean. Anyone getting the phablet soon?